If you're thinking about trying one of the many meal supplements, replacements, or protein powders or shakes on the market today, you know there are a lot of choices. When trying to figure out which one is right for you, your body, and your weight loss or dietary goals, it can be overwhelming. Besides reconciling the intricacies of the competition and trying to understand Arbonne vs Isagenix, what to think about Beachbody, and all the rest, there are a few important things you should consider. We thoroughly researched the Arbonne protein shakes for weight loss and Arbonne protein powder. We went through testimonials and case studies and verified how people looked and felt before and after using each product. We aggregated the customer reviews, and poured over the ingredients lists to determine whether they are as healthful and good for you as they say they are. In addition to ingredients and nutritional value, we also looked at price and taste, and dug specifically into Arbonne shakes vs Shakeology. One thing we know is that the Arbonne protein boost is convenient and easy to incorporate into your daily smoothie or breakfast routine. Who is Arbonne and what are their products? Arbonne is a well established company that has been providing nutritional and personal care products since 1987. You purchase their products through a representative, or what they call a consultant, which is a distribution and sales model known as multi-level marketing (MLM). They describe their health products as being scientifically tested, naturally inspired, and made from botanical ingredients.Product lineup consists of ready-made shakes, shake mixes, and a protein boost powder. They provide recipes you can use for variety, so you don't get tired of the same old thing. And in addition to the chocolate protein powder, they also have vanilla. Now, let's take a closer look at each of the three and what they do and don't contain. Between the three, the ready-to-drink shakes have the highest number of calories at 180 per serving. The shake mix is a close second at 160, and the daily boost is less than a third of either at only 50 calories a serving. When looking at calories, however, you should always look also at sugar and fat content because what the calories are made up of are as, if not more, important than the total number. What about sugar and fat? Again, the shakes have the most sugar of all three, and both the shakes and shake powder contain more sugar per serving than many similar products amongst the competition. A single shake has 11 grams of sugar per serving. The shake mix has 9. A standout in the lineup, and one that is excellent in the sugar category, is the daily boost powder, which has zero grams of sugar per serving. You'll start to see a pattern here when we look at fat. You guessed it. The shake has the most fat with five grams per serving. The shake mix has three. The boost powder has only one gram of fat per serving. How much protein does each have? Ensuring your supplement or meal replacement contains a lot of protein is crucial for building muscle, powering your exercise regimen, and helping to boost your metabolism and burn calories. The protein sources that Arbonne uses are also important because all proteins are not created equal. All three are made up of rice, cranberry, and pea protein. These all natural—and as they are branded, botanical—ingredients are healthful, chock full of antioxidants, and vegan. When looking at the options, the protein content and quantity are hard to match. Shakeology might be the most advertised, marketed, and well known of the meal replacement. It has grown in popularity quite extensively over the last few years due in part to its marketing strategy, which is similar to that of Arbonne's multi-level approach. If you've heard or read anything about them, chances are good it's that the shakes taste great and that they're more affordable than a meal out at Starbucks or McDonald's. When we looked at Shakeology against Arbonne, however, we found that Shakeology has quite a few downsides as well. Support. Shakeology offers coaches to talk to and consult with as you move through your weight loss, fitness, and wellness journey. This puts them ahead by a nose in the community support department. Calories. Shakeology is relatively low in calories, pretty much on par with Arbonne's protein shake powder. Both deliver 160 calories per serving. A definite line in the pro column when looking at shakes and shake powder, but it doesn't match up to the Arbonne boost powder, which is only 50 calories per serving. Superfoods. Shakeology is hard to compete with when it comes to truly natural and healthful ingredients. The superfood quotient is significant, as it contains chia, flax, pea, quinoa, and whey. Andy research has shown that whey protein is beneficial for weight loss and suppressing appetite. They're also loaded with antioxidants like pomegranate, rose hips, acerola cherry, goji berry, green tea, bilberry, and vitamins A, E, and C.
Taste. We're giving taste a push for both. Shakeology and Arbonne both taste great, and aren't gritty, so you can't go wrong with either. In this category, they're neck and neck. Shakeology shakes are fairly low in fiber, an essential ingredient for a healthy diet. With only four grams per serving, this isn't an ideal target when you're attempting a well-rounded healthy diet. Arbonne is in the same boat, however, when it comes to fiber, and in fact comes in even lower at two grams per serving. So, when matched head-to-head, neither win high marks in the fiber department. Like we mentioned, if you've heard anything about Shakeology, you've probably heard how affordable their program is. When you break it down, it's actually quite the opposite. 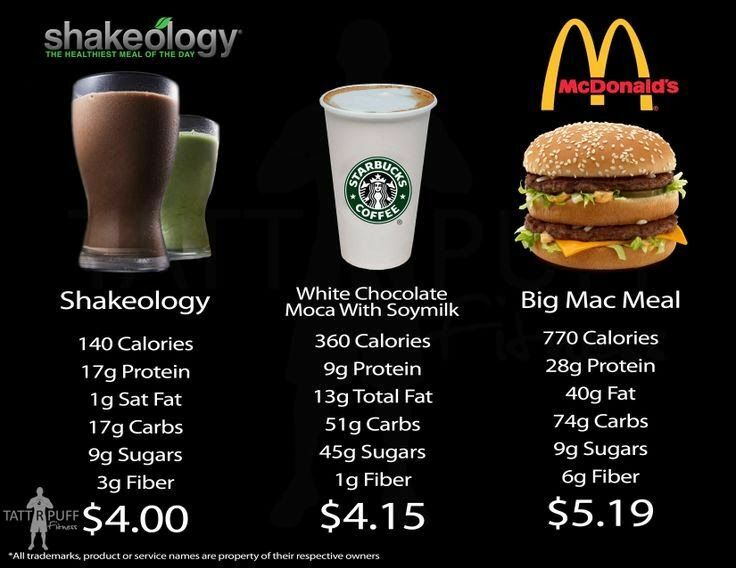 Shakeology comes out to $4.30 per serving, compared to Arbonne, which is about $2.50. This is almost half as much. 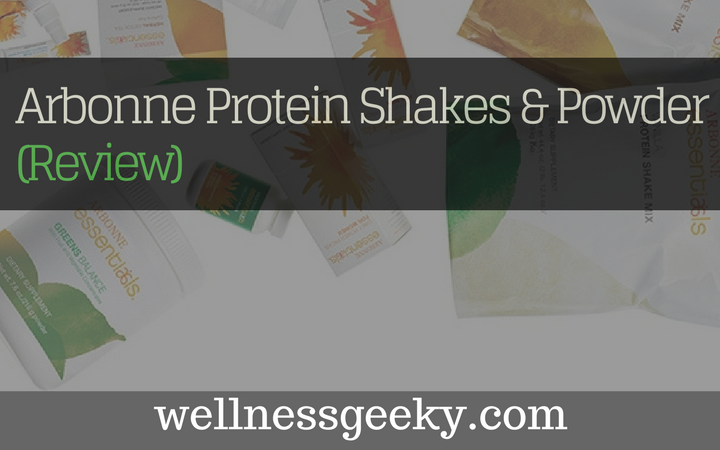 Overall, we like the Arbonne protein shakes and powders for their price, taste, and calorie count, especially the protein boost powder. Shakeology is a close second in many areas. It comes out ahead on a couple of factors, especially if you're into superfoods, you're after community support and participation, and price is not an issue.